Looking for something different to do with one of summer’s favorite berries? This French-toasted blackberry grilled cheese is going to cultivate a whole new appreciation for the purpley-black, many-lumped darling of the South. 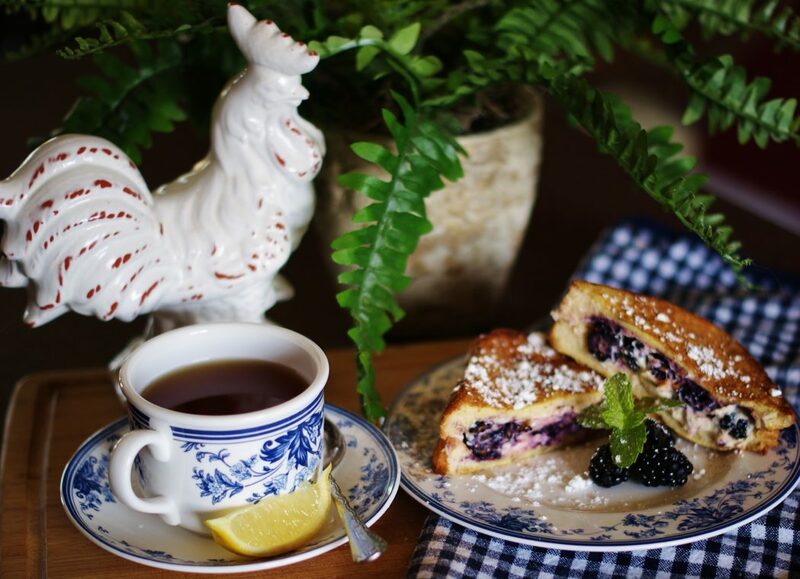 When those plump berries start falling almost unbidden from the vine by the ice cream bucket loads, this breakfast sandwich starts calling my name. Truthfully, I can only eat half of one of these magnificent concoctions. I am sure it has nothing to do with all of the blackberries and cheese I sneak while cooking (That really is terrible habit. I probably should do something about it.) But every bite is worth waiting all year for. 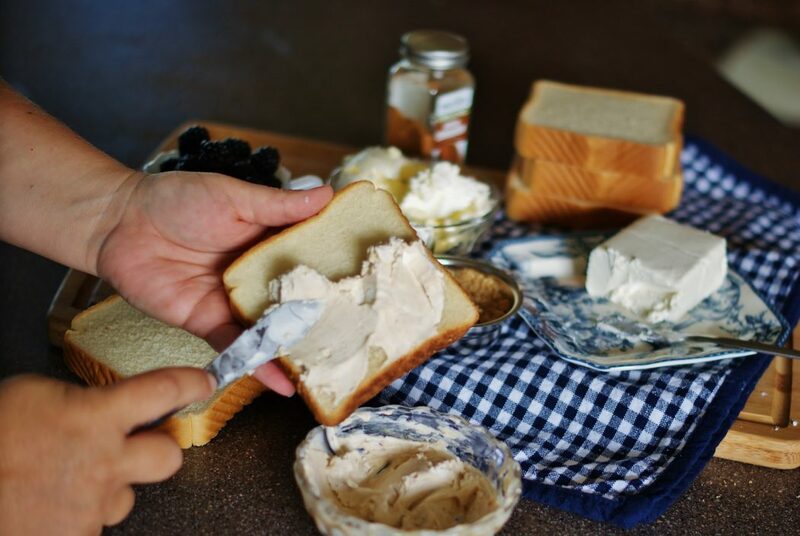 As the sandwich cooks, the berries should heat up and burst a little, melting in with the cheese and dribbling down the sides to make sweet wonderful summer yumminess right there in your pan. 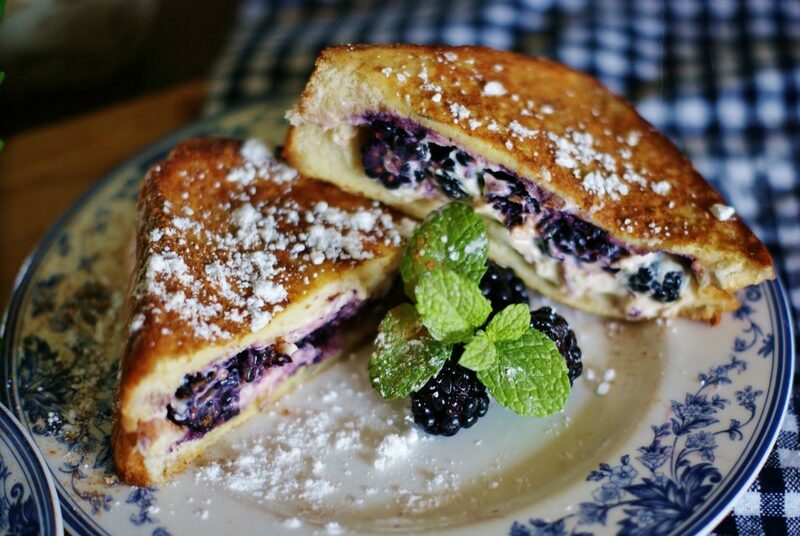 Combined with the buttery, crisp French toasted outside, this soft berry-filled center is what grilled cheese heaven is like. Or breakfast heaven. Summer heaven. Ok. Just heaven. Heaven. I am sure this sandwich is in heaven. On low heat, warm a pan with 1 Tbsp of butter in it. While melting the butter, mix together cheese, brown sugar and cinnamon and spread on one side of the Texas Toast. Then, in a small bowl, beat your eggs and milk together. 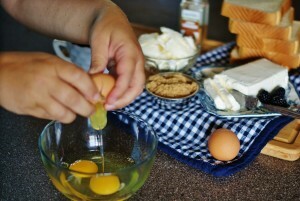 Use a brush to heavily coat the opposite side of the bread with the egg mixture. One side cheese. One side egg wash. Oh, this can be a messy business! Once everything is all coated up, place the Texas Toast egg side down, cheese side up in your heated pan with that melted butter. 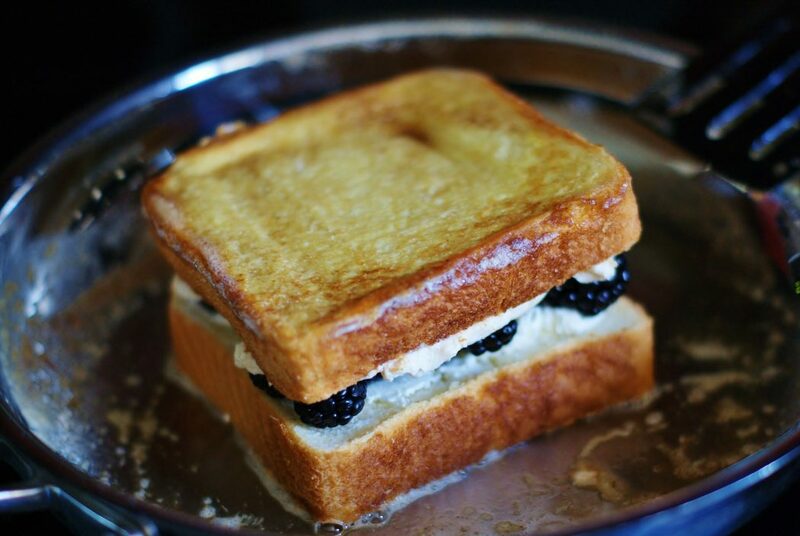 Plop down a few blackberries on top of that cheese. Toast until the egg side of the bread is a golden brown. You might have to use your spatula to lift up a corner and peek. While the base of the sandwich is French toasting, take a second piece of bread and heavily coat one side with the egg mixture. (No cheese this time!) Now, place that slice of bread egg side up on top of your sandwich. Last step here! When the bottom of the sandwich is golden brown, it’s time to carefully turn your blackberry grilled cheese over (a delicate two-handed job- or one hand and one spatula- or two spatulas… whatever). 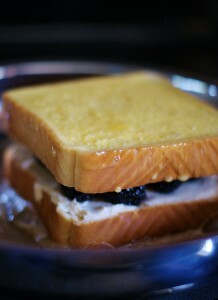 Gently press the sandwich together (careful not to mash it!,) and French toast the top of the sandwich too. Now we are getting somewhere! Just look at those berries! They should be starting plump! When the top of the sandwich is golden brown, remove from the pan. Let cool for a minute or two before you gently, very gently, cut it in half. I guess you could skip this step. But what fun would that be? 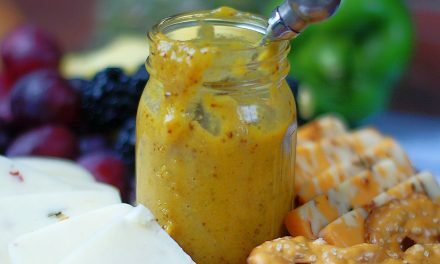 Show off that melted cheese and those berries! To finish, sprinkle with powdered sugar. 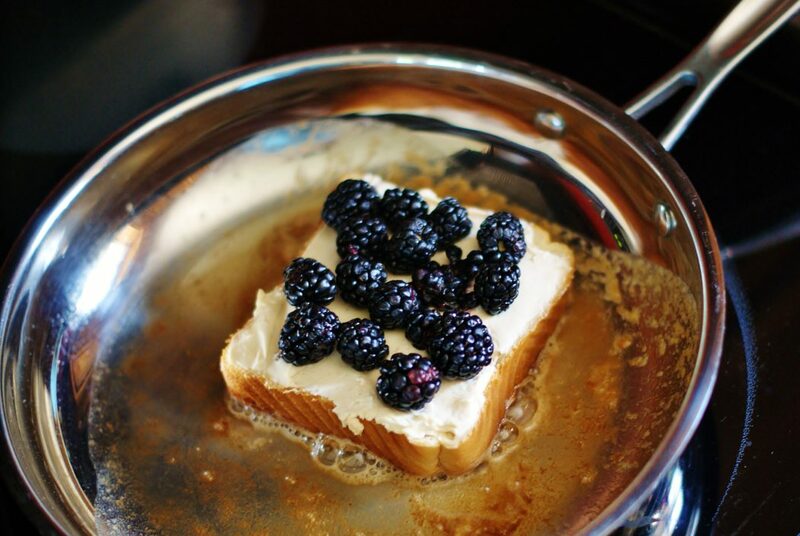 Serve your French-toasted blackberry grilled cheese with extra blackberries or cantaloupe! Ahhhh… isn’t summer is good? Looking for more delicious fruit-filled recipes? Check out these other ASD favorites! 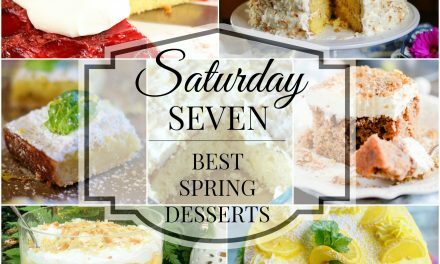 Check out this and a ton of other great southern recipes on Monday Meal Plan, Weekend Potluck, Foodie Friday and Full Plate Thursday! 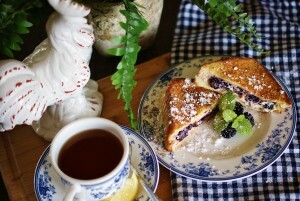 A french-toasted fontina or cream cheese and blackberry grilled cheese sandwich is perfect for breakfast or brunch. On low heat, warm a pan with 1 Tbsp of butter in it. 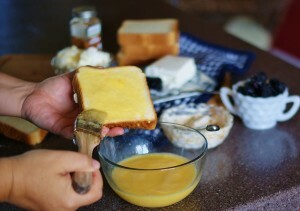 While melting the butter, mix together cheese, brown sugar and cinnamon and spread on one side of the Texas Toast. In a small bowl, beat eggs and milk. Use a brush to heavily coat the opposite side of the bread with the egg mixture. Place the bread egg side down, cheese side up in heated pan. 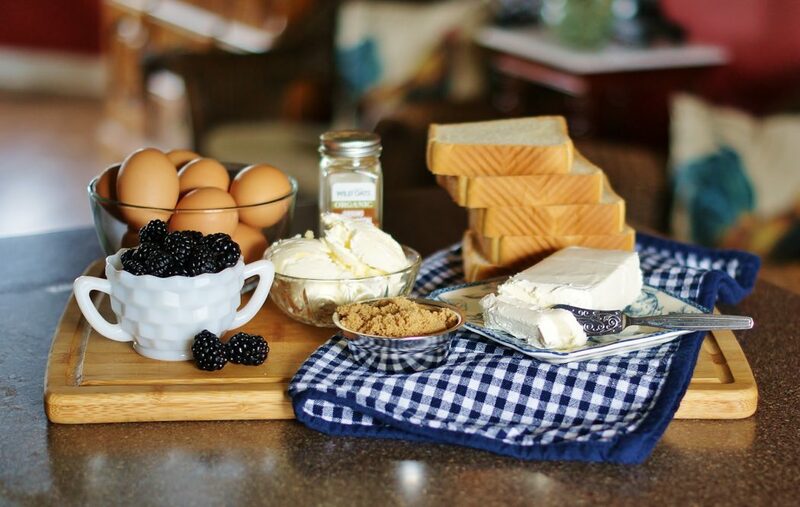 Cover the cheese with blackberries. Cook until the egg side is toasted to golden brown. While the base of the sandwich is French toasting, take another piece of bread and heavily coat one side with the egg mixture. Place egg side up on top of your sandwich. Carefully turn sandwich over, gently press the sandwich together, and French toast the top of the sandwich. When the top of the sandwich is golden brown, remove from the pan. Let cool for a minute, then cut in half. 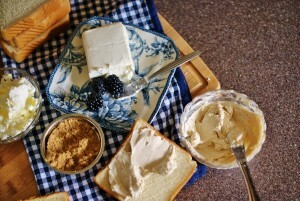 Serve with extra blackberries or cantaloupe. PreviousIs There No Balm in Gilead? Who’d have ever thought of this besides you??!! Must try! Sounds heavenly! Oh, BoBo! You must! My family absolutely loves them. They are some of our most favorites (even though I can’t eat them but once or twice a summer for fear my clothes won’t fit!). This is absolutely dessert pretending to be dinner. YUM! I have to give these a try– I love everything about them. They are absolutely delicious! I almost feel like a bad person when I eat them. Almost. Hahaaa! Oh my word!! These sound scrumptious!! I can’t wait to try this!! Oh, Rachel! You will love them!! I can’t wait to try this awesome Breakfast treat! Have a great first week of spring and thanks so much for sharing your awesome post with FULL PLATE THURSDAY! Thanks, Miz Helen! These grilled cheeses never disappoint! What a gorgeous sandwich! It looks so delicious! Thanks for sharing the recipe. You are welcome! These are so easy, but they can make any morning feel so special! Thanks, Miz Helen! 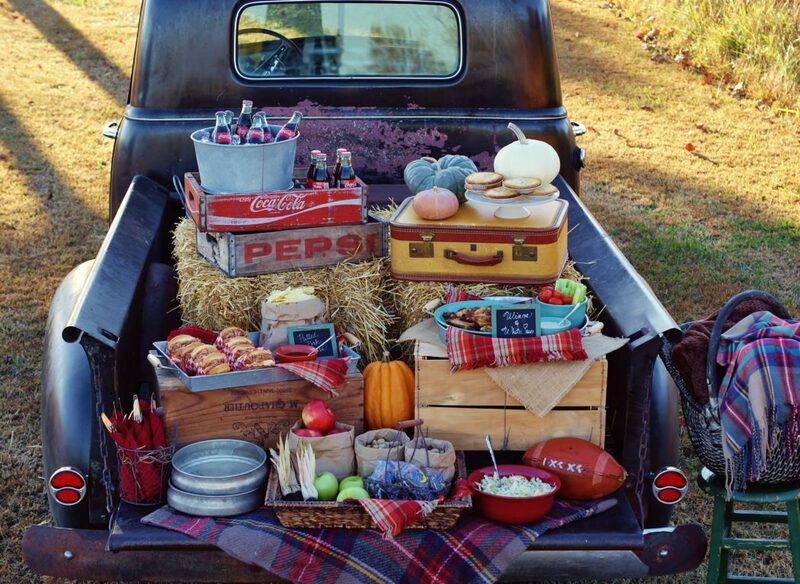 You are always the best hostess! 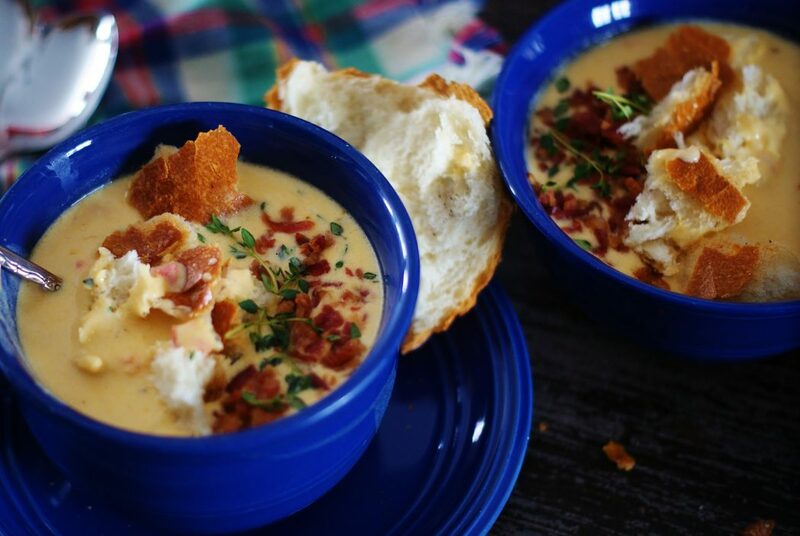 This recipe happens to be one of my favorites. I’m glad you liked it too!